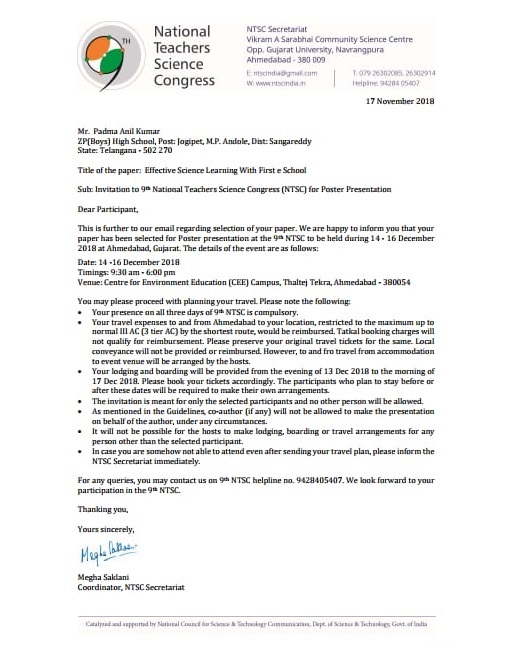 A Government Tecaher from Sangareddy District of Telangana researched on the effectiveness of Firsteschool Digital classes and submitted a research paper to NTSC. Based on the research, he found that the average performance of the students increased from 6.11 GPA to 8.42 GPA when Firsteschool product is used. First E-School Digital Class Implementation, is inaugurated by Honorable Chairman Swami Goud. 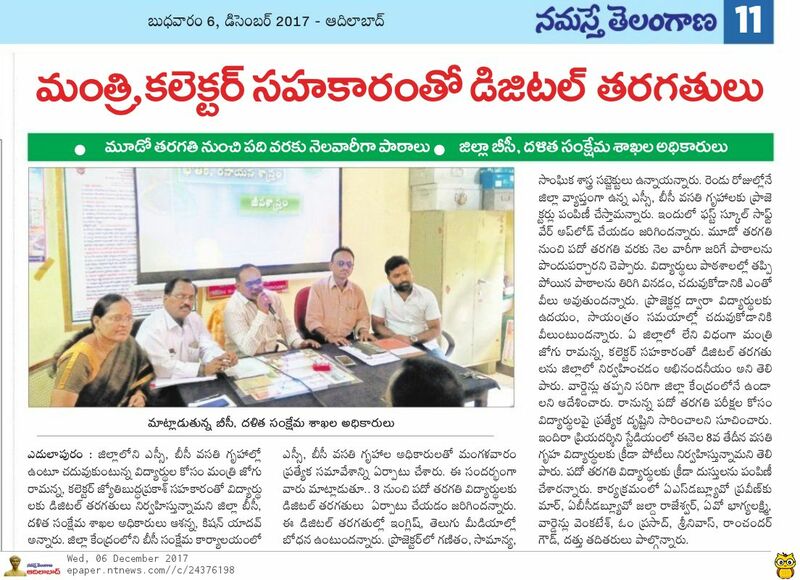 First E-School Digital Class Implementation, is implemented by Honorable Minister Jogu Ramanna and Honorable Collector Jyothi Buddha Prakash.